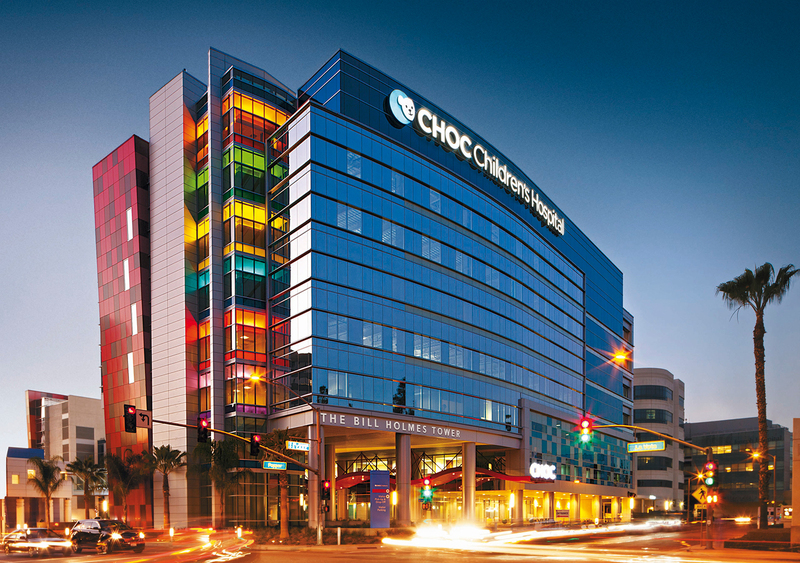 With the opening of the Bill Holmes Tower, Children’s Hospital of Orange County (CHOC) enters a transformative era to help meet the regional health needs for today’s and tomorrow’s generations. 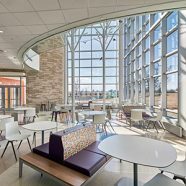 The belief “to nurture, advance and protect the health and well-being of children” resonates throughout the campus and into the new building design. 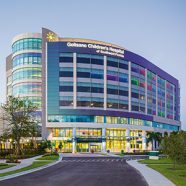 The hospital addressed a critical challenge when it was decided that the previous children’s-hospital-within-a-hospital — located within St. Joseph Hospital of Orange County — would open its own freestanding building. 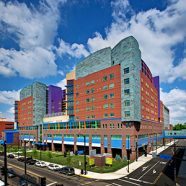 The eight-floor tower, designed with partner architect WBSA, was created to be one of the most advanced and safest children’s hospitals in the world, fostering environmental stewardship in an efficient, flexible facility. 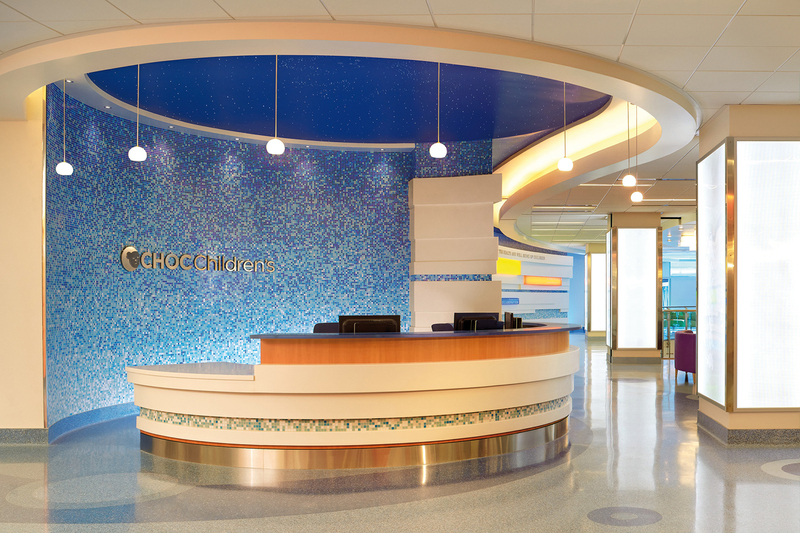 In addition to new and advanced services, including the region’s only dedicated pediatric emergency department, the tower features enhanced patient and family amenities to create a serene, healing environment for children. 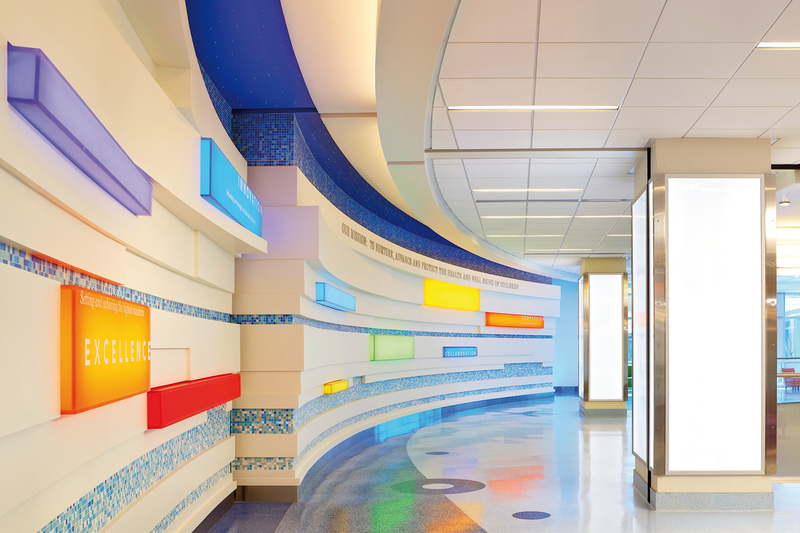 A lighted band of primary colors scaling the height of the tower identifies the hospital from afar as a beacon of hope in the community; these colors also serve as a color-coded wayfinding system for patients, visitors and staff, identifying floors and departments accordingly. 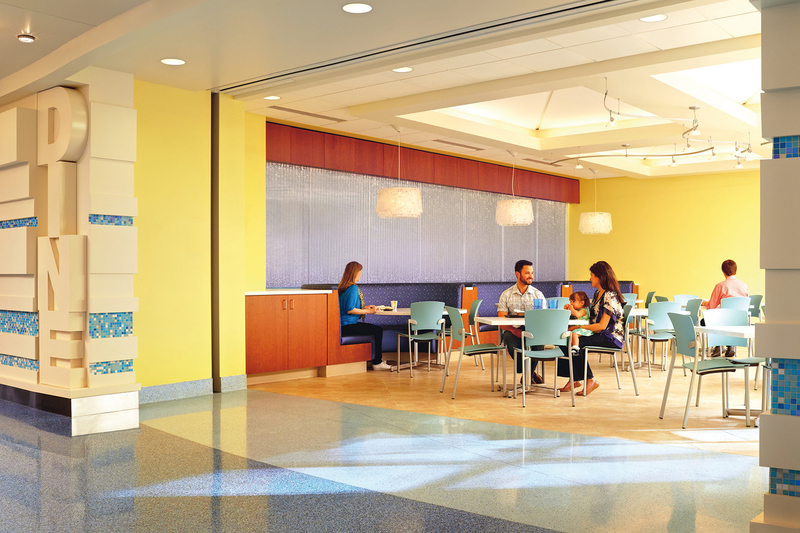 To meet its efficiency goals, the hospital was designed with a number of energy management technologies in place, including filtration of stormwater and runoff, onsite rain- and stormwater filtration and irrigation management, abundant use and optimization of natural light, plentiful green space and healing gardens, low-emitting insulating exterior glass panels, and more. 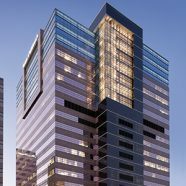 This “next generation” patient care tower positions CHOC to continue to accommodate the expanding healthcare needs of the region and healthcare changes ahead with the latest advancements in technology and safety. 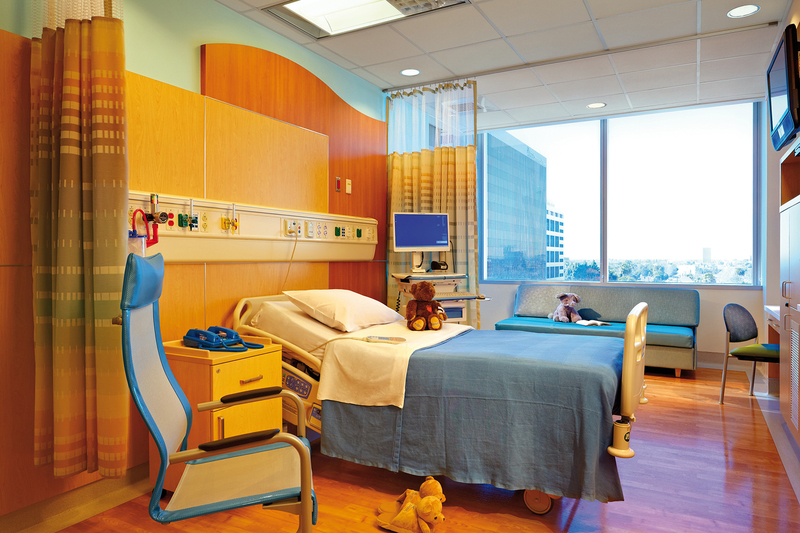 This includes concepts such as “same-handed” rooms that support standardized practices to control the variable factors that may lead to human error. 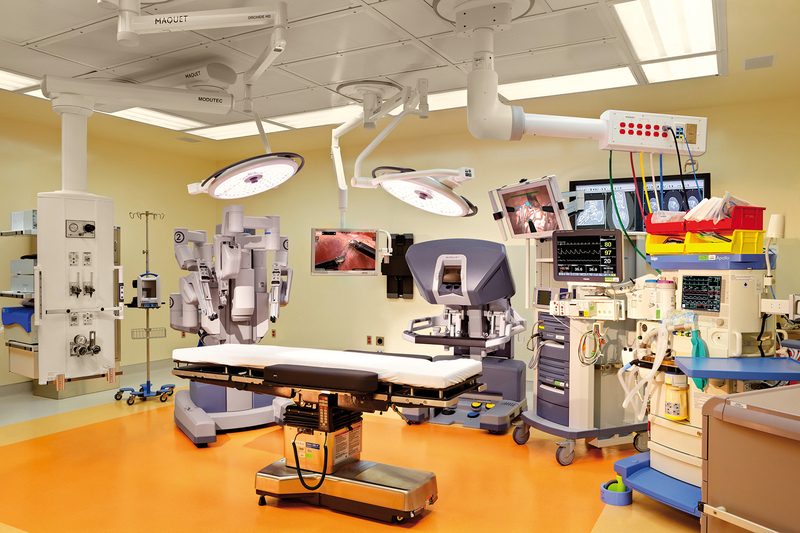 The facility also includes diagnostic and treatment services such as surgery, imaging, emergency and clinical lab services, acute care and intensive care inpatient beds and patient/family/staff amenity areas. 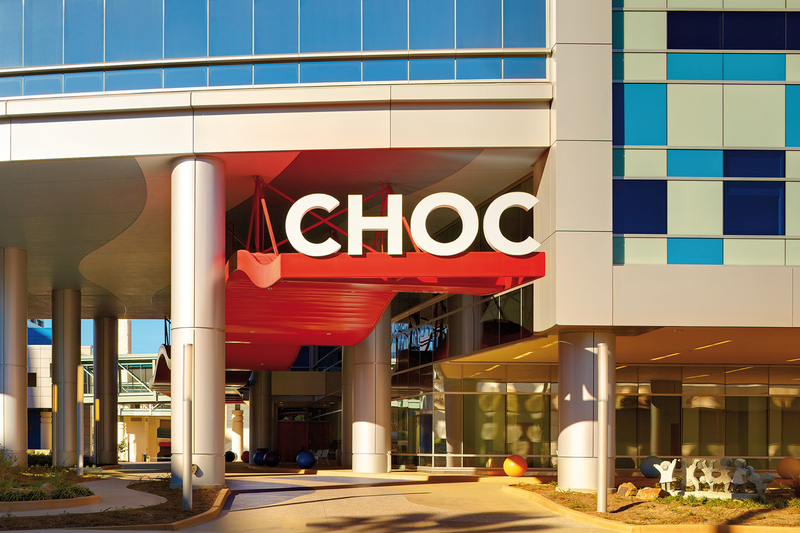 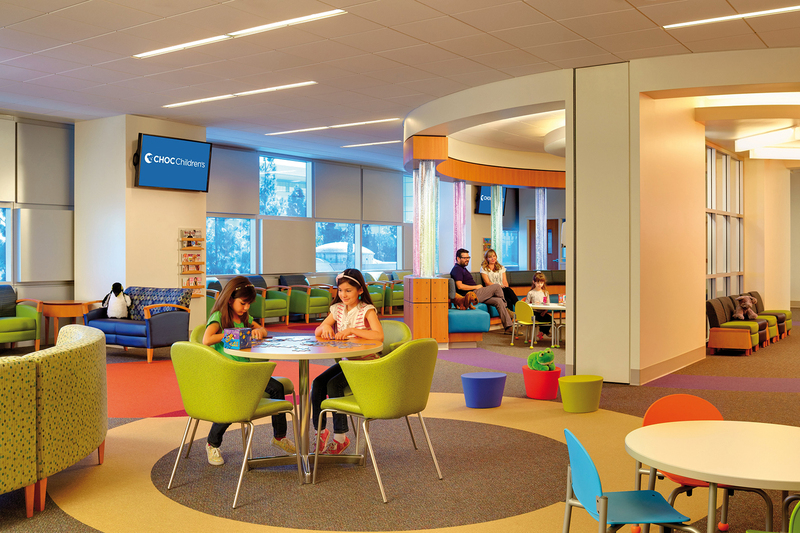 These key strategies help to make Children’s Hospital of Orange County’s Bill Holmes Tower a beacon for a deserving community, serving the future with hope, sustainability and world-class care.